Henry Kellogg is a high school history teacher and writer from Burlington, Vermont. He is a regular contributor to Four and Twenty, as well as other publications. He can often be found on the porch. 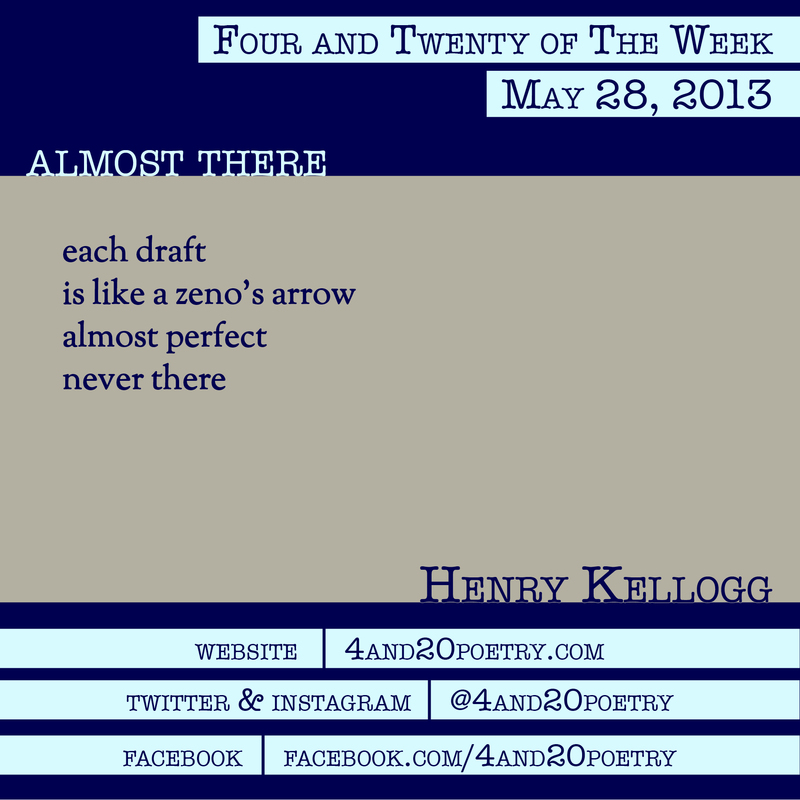 This entry was posted on Tuesday, May 28th, 2013 at 4:20 am and is filed under Four and Twenty of the Week, Micro Poetry, Poetry. You can follow any responses to this entry through the RSS 2.0 feed. Both comments and pings are currently closed. I love this poem. It’s a writer’s poem with a lovely classical allusion embedded in a simile. i could see someome framing this and keeping it on a writing desk as a reminder that any final beauty will always elude one’s grasp.